You might remember my 'Girls at play' quilt I finished several months ago. I loved making this quilt and loved the finished quilt even more. 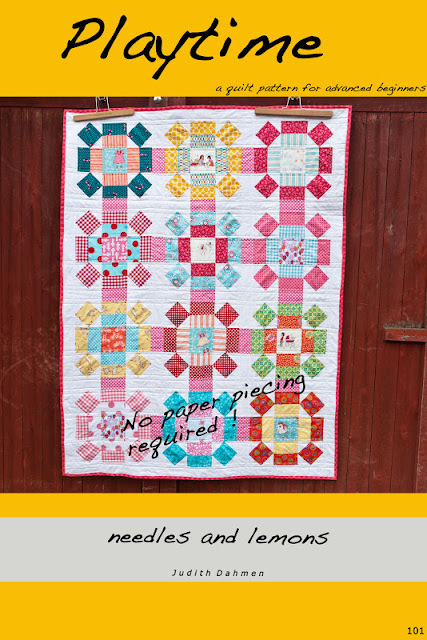 This pattern is suitable for advanced beginners and one of its best features is that it does not use paper piecing to assemble the outer corner units of the blocks but instead a technique that is just as accurate but does not waste fabric and is also quicker. Congratulations on your first pattern! Just ordered my copy! Will go dig out fabrics now :). How wonderful that you have made it into a pattern. I went to look and it tells me it is sold, maybe you can set it up for multiples sales? Leanne and everybody else. I fixed the link in Etsy. I forgot to set it to multiple items, which really was a bit stupid..... One learns everyday. I really like this pattern, Judith! Thanks for fixing the link - I just bought it! Congratulations! 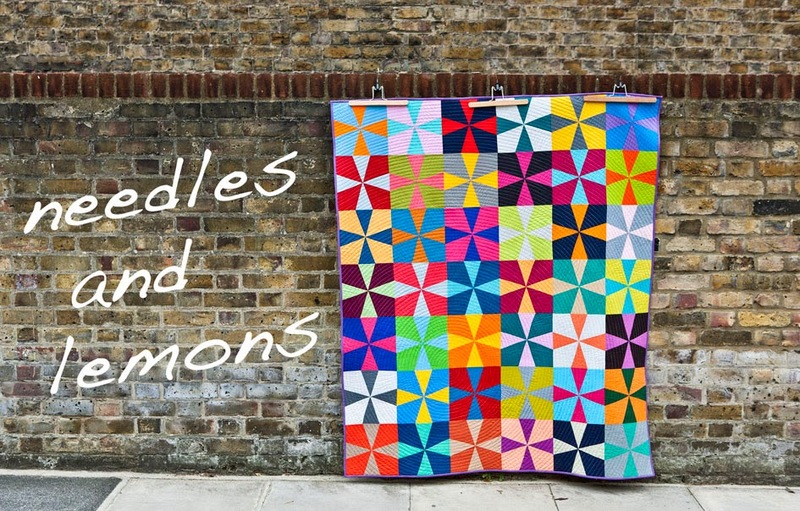 Quilt patterns are a lot of work and its great you took the first step. I am sure the others will be easier. Congrats - first of many then! Oh well done you! Totally impressed here. Hope you sell many and write many more.